The Smoky Joe Wood (CT) Chapter of S.A.B.R. will present a very special event on Jan. 24. 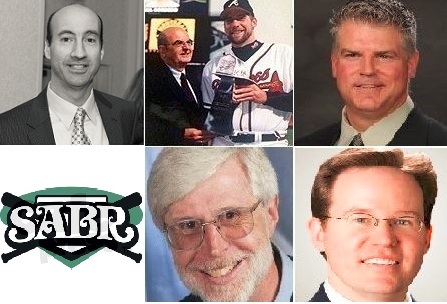 The day will feature a Media Panel with top Baseball journalists from print, digital and broadcast media. A $1 used baseball book sale and a charitable raffle for the Bo Kolinsky Scholarship will also be held. Panelists include David Kull, Senior Deputy Editor at ESPN Digital Media; Bob Wirz/Chief Spokesperson for Baseball Commissioners Kuhn & Ueberroth; JW Stewart, Sports Anchor at NBC Connecticut; David Heuschkel, former Red Sox beat writer for The Courant; & WTIC Radio legend Scott Gray, who will be our Moderator. More panelists may be added.